For most of us, the city of Las Vegas, Nevada is synonymous with bright lights, high rollers, big winnings, fast payouts and Elvis. But if chasing a jackpot isn’t your thing and you’d prefer your blue suede shoes to be green instead, there’s still a place for you in Sin City. At the opposite end of the spectrum from the hedonistic excitement of the strip is an opportunity for those of us with Celtic roots, or just a love of Celtic culture, to meet likeminded people and enjoy some real culture. We’re talking here, of course, about the celebration of all things Gaelic that is the Las Vegas Celtic Society’s Celtic Festival. 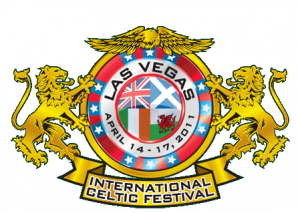 Dating back to 2004, the LVCS is a non-profit organisation that dedicates itself to the promotion and preservation of Celtic heritage in southern Nevada. Through volunteer work, providing scholarships and donations, it also supports an array of other organisations that seek to preserve Celtic heritage. 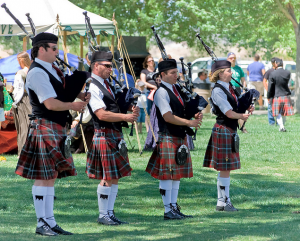 LCVS’s headline event is the annual Las Vegas Highland Games and Celtic Gathering. For one weekend Floyd Lamb Park at Tule Springs is transformed into a little bit of the old countries as it plays host to musicians, athletes, and enthusiasts in a family-friendly environment. It might get pretty noisy around Vegas for the weekend of April 29th and 30th, 2017, as pipe bands from all over the world descend on the park for the games. Bagpipes may not be to everyone’s taste, but there’s surely nothing as stirring and impressive as legions of pipers playing the tunes, that evoke what it means to be a proud Celt. The competition among the pipers is fierce but friendly so get ready to be blown away by the talent of these musicians. Of course, if you have music, you’ve got to have dancers too, and the games’ dance competitions and displays will see fancy footwork from some of the best there are. Forget Riverdance, you’ve never experienced set dancing unless you’ve seen it live, and in the settings of the park, surrounded by other lovers of all things Celtic, is the perfect way to enjoy it. You’re likely to work up quite an appetite while taking in all there is on offer at the festival, so luckily the food and drink providers are ready to satisfy your belly and your thirst. As the old saying goes: “When in Rome…”, so you might as well get stuck into traditional fare that tastes just as good as it does in Scotland or Ireland. Top of everyone’s menu must be the haggis. Sure, the idea of eating ‘Pluck’ ‒ the sheep’s heart, lungs, and liver, might not be for everyone even if it is mixed with suet, onion, and oatmeal. But nowadays the traditional casing, a sheep’s stomach, has been replaced with an artificial alternative, so that’s one less thing to turn you off. Despite its description, haggis is a nutritious, tasty dish that’s truly and uniquely Scottish. Feeling the need to wash down that haggis? 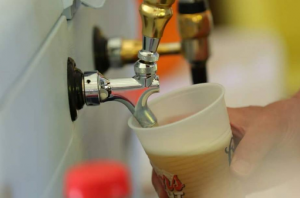 Then get yourself over to the drinks tents where you can choose from an exotic variety of traditional ales and beers direct from the old countries’ breweries. Let’s hope you’ve not over indulged, as the sight of the traditional games might be too much for you! This is where the Celtic brawn gets to show itself, and you won’t be disappointed by the feats of strength in these ‘heavy games’. Watch kilted beefcakes throw cabers ‒ that’s a tapered pine log up to 20 feet long that they try to upend, or marvel at the hammer throw. Seeing these athletes in action will remind you why the ancient Celtic warriors were so feared!